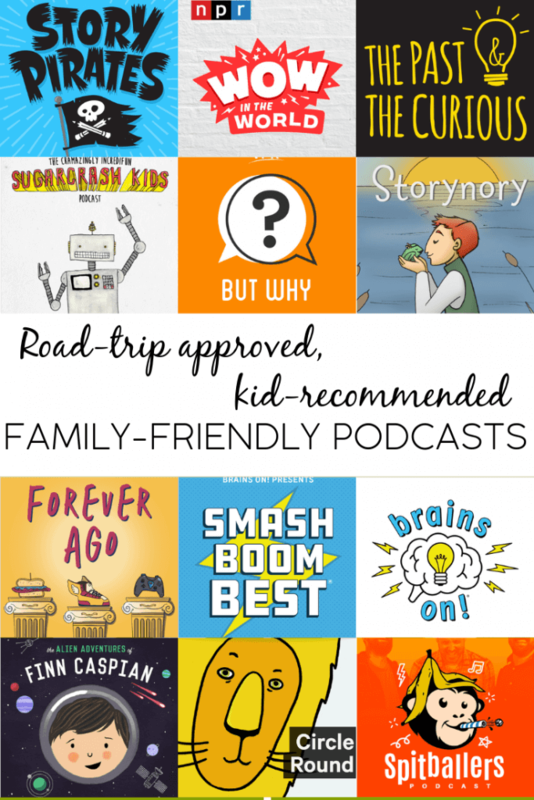 I’ve written about podcasts and audiobooks in the past, but I have to say: it’s been almost five years since we started listening to the Magic Treehouse books every time we got in the car, and the kids still expect – and request – books and podcasts every time we get in the car together. So much has changed on the podcast front since I started listening over a decade ago, and each year it seems there are more and more kid-friendly podcasts available. Find out which we love, and which will be great for your next road trip (or trip to the store, or time in the carpool lane, or basically any time your kids are bickering in the car and you need a break). I’ll be honest, The Alien Adventures of Finn Caspian one is not the best performed, most-produced podcast we listen to. It’s certainly good quality audio though, and the kids are captivated by the adventures of Finn Caspian in this serialized science fiction podcast about robots and space travel. Brains On! is the first podcast I listened to with the kids, and it’s still absolutely one of my favorites. Host Molly Bloom and American Public Media put out this weekly podcast answering kids questions about all things scientific. There are more than three years of weekly episodes to listen to, covering topics from cooking and tornados to dreams and architecture. Plus, of course, answers to kids’ burning questions about boogers and poop. And pretty much everything else you (or your kids) can think of. But Why? is another show that features kid cohosts and kids’ questions. How do you make paint? Why do geese fly in the shape of a ‘V’? Why are moths attracted to light? How do hurricanes form? Why is tape sticky? A question you have had – or one you never thought to have, but now need answered – is the subject of each episode of But Why? Circle Round brings to life folk tales from around the world, with narration from actors and figures popular in plays, shows, and movies. As parents, it’s as much fun to recognize the voice talent as it is to listen to the story. And the stories, well-produced and thought-provoking, are engaging for everyone in the family. Unfortunately, The Cramazingly Incredifun Sugarcrash Kids Podcast (a kid had to come up with that name, right?) hasn’t had a new episode in almost two years. They do, however, have a back catalog of episodes to enjoy. A combination of storytelling, interviews with real kids, interviews with fake story characters, and funny original songs give kids (and their grown ups) plenty to enjoy. We’ve listened to episodes on the invention of sandwiches, the progression of video gaming, why we have emojis, and more. It’s definitely another of our favorites. The Past and the Curious shares lesser-known stories from history. Each episode includes songs and (fun!) quizzes, to make sure everyone stays engaged. Past topics have included how Milton Bradley’s Game of Life came to be and why President Roosevelt loved hot dogs. Once upon a time, Brains On? was the only podcast we knew of from American Public Media. It was good, but the quality and content improved from good to excellent over time. At the same time, apparently American Public Media was crushing it coming up with new show ideas. Smash Boom Best takes one of the previous Brains On formats – what we called “the versus episodes” – and presents a new debate topic every time. What’s cooler, lava or quicksand? What about pizza or tacos? Super Speed vs Super Strength? There are dozens of great episodes already, that spark excellent conversations both on the podcast and off! Spitballers is, as far as I can tell, independent from any podcast network – which is actually quite impressive. Andy, Mike, and Jason are three dads who are perhaps more widely known for their original podcast, The Fantasy Footballers. When they couldn’t find a clean comedy podcast for families that they actually found funny, they decided to make their own. The result is one that my husband and kids absolutely adore. Each show has a theme, but perhaps our family’s favorite recurring segment is their mock drafts. These mock drafts may have stemmed from their fantasy football background, but they’re probably not what you think. The trio tries to come up with their best “team” of picnic condiments, cereals, commercial jingles, television vehicles, and other equally-random categories. The result really is often laugh-out-loud funny, for kids and adults alike. If you’ve been in the podcasting community for a while, you know about Gimlet. It’s one of the very first dedicated podcast networks, and has produced such hits as Homecoming, StartUp, and Crimetown. Story Pirates is the first Gimlet production for kids – and its one of the most creative premises I have heard. Kids send in stories – some good, some very obviously written by a toddler (both in length and content). The Story Pirates then take the story – however long or short – and expand it into a mini radio show that is hilariously produced. Between stories, there is an overarching, epic adventure the pirates take us on. It’s a really fun show! Storynory is one of the very first podcasts for kids that I ever found, when, as far as I can remember, it was one of about two that existed. It hasn’t evolved much and, as such, isn’t all that high on our list of shows to listen to. Truth be told, we delete about half of the episodes that come through my feed. That said, there are often some gems – especially serialized stories or incarnations of Aesop’s Fables, for example, that make the show worth keeping on my subscriptions list after all these years. Wow in the World is another newer podcast for kids, but one my three have fallen in love with quickly. 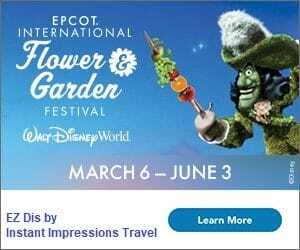 Hosts Mindy Thomas and Guy Raz take highly-produced journeys around the world to discover more about the things surrounding them; topics are primarily about science and technology. We’ve listened to stories around panda spots, worm poop, the Museum of Happiness, giggle fits, brain freeze, and why onions make us cry. 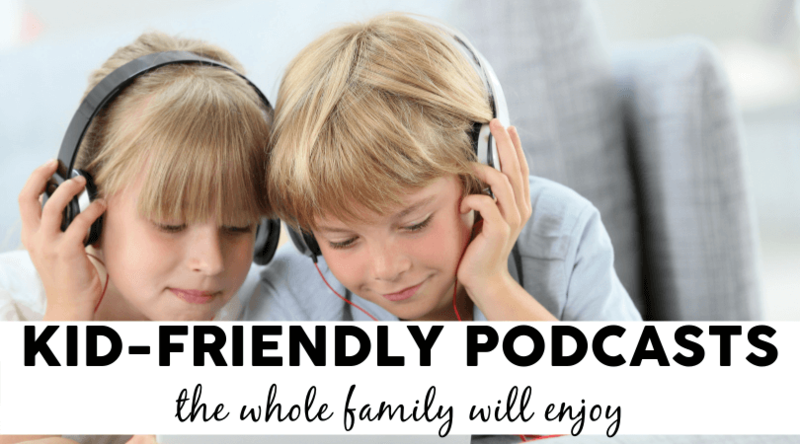 Do you have any other kid-friendly podcasts your family loves? We’d love to add more to our feed!